I am a big SciFi fan and enjoy watching and reading SciFi. I will share some of my favorite SciFi shows and books here. 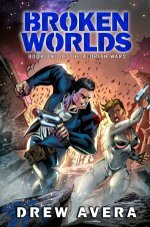 Some of the best SciFi available now is done by Indie writers and they could use your support. Check out the books they make and share with others and encourage them to also get their own copy of the books. It’s important to keep this great source of entertainment going strong and we can all help by sharing our love for the books and encourage others to enjoy them also! Mars Journey: Call to Action Book 2 is the second book in bestselling author Bill Hargenrader’s epic science fiction action and adventure thriller series set in the near future. Brent Carlson, continues to work on the Mars Now initiative while battling the opposition and overseeing the Mars Now contest, for the individuals whom will be picked for the first journey to Mars. The surprises pop up and the challenges continue as it gets closer and closer to the completion of the Mars Now challenge. A black-ops agency discovers hieroglyph-covered pyramids on Jupiter’s moon Callisto. The government forcibly taps rebel archeologist Kaden Jaxx with only two instructions: 1) decode the ancient writings and 2) keep his overactive mouth shut…or else. But what if the writing spells out an ancient prophecy for Earth’s doom? Kaden Jaxx’s nephew Drew Avera gets drawn into the adventure and ends up being an important part of the story, as the world as they knew it seems to be doomed. 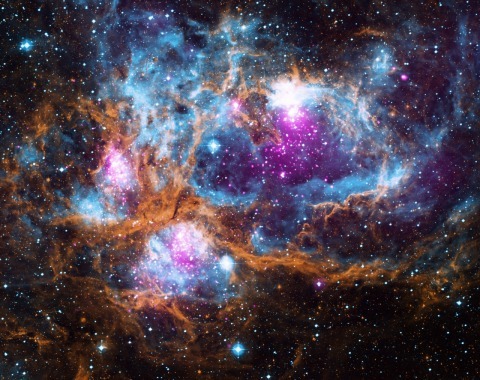 Christian has written an excellent SciFi series that is sure to please any SciFi fan. 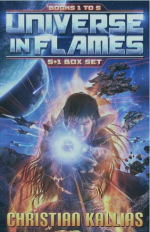 The Universe In Flames is an epic Space Opera type series with Olympians, Asgard, Earth Alliance and Star Alliance all in a battle of evil and against good. From the start the series draws you in and keeps you anxiously reading as the story unfolds and grows a large universe that unfolds as the challenges begin and there are plenty of surprises and twists that keep it interesting. It’s an excellent SciFi series that I highly recommend you add to your collection. A young boy named Kevin has a chance meeting with an alien and discovers we are not alone in the universe. He then gets drawn into an intergalactic war and it’s up to him to save the good guys. He finds himself on a ship in a different galaxy and the crew is dying and it’s up to him to make sure not all is lost. Can Kevin save them from being destroyed by evil? Read it to find out. It’s a fun and enjoyable read! Kevin is called upon again to save the day after saving the Arcadian Confederate from certain destruction. Kevin and his dog Boomer’s consciousness are transported back to the galaxy he saved. This time he has his faithful companion for company and to assist. They also have the Arcadian’s best engineer who just happens to be a cat, with an attitude. Now, not only is the Arcadian Confederate in danger, Earth is also in danger of being destroyed. Can Kevin, Boomer and the cat save the day? 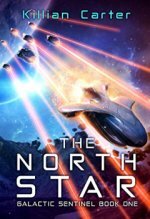 This enjoyable read has the same great SciFi content, but it has some humor added to the mix which makes for a great adventure. Melanie Destin arrived on Luna, enthusiastic about starting a new chapter in her troubled life. Unfortunately, despite her particular skill set, the only work she can find is providing charity medical services at a free clinic. She is about to give up when she is approached by the captain of a long-haul interplanetary freighter, looking for a new medical officer. So begins Mel’s adventures with the Captain and crew of the good ship, Requiem. 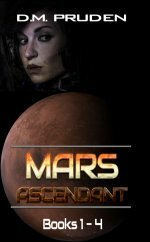 Follow her as she begins to explore the shadier side of business dealings in the solar system and embarks on her eventful journey that eventually leads her to life on Mars. 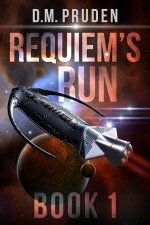 Requiem’s Run is the precursor to the Mars Ascendancy series and starts Melanie on her life’s adventures. Centuries from now Earth is dying and Mars is struggling to survive. Melanie Destin wants to restart her life. 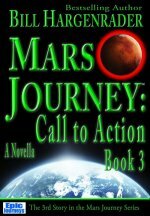 Determined to find a way to start again on the newly terraformed Mars, Melanie takes on a job that get her to Mars. Little does she realize her decision will forever intertwine her destiny with that of the red planet. Her journey pits her against powerful people, who will stop at nothing to exploit her for their own, terrible means. With only a few cherished friends she begins the challenge of restarting her life on Mars. Little did she realize the challenges that she would face along the way, who would help her and who would be her biggest challenge. Join Melanie on her exploits, as she strives to rebuild her life and face the challenges that pop up along the way. Hayden Kaine, a brash young cadet, thinks his family’s influence has guaranteed his destiny as a future leader of the Earth Confederation. 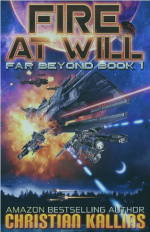 But falling on the wrong side of an Admiral is never a good idea, and he soon finds himself posted to an outdated starship at the farthest reaches of the Confederation. This is another great adventure by Doug Pruden, as you start reading you are drawn into the story and have a hard time putting it down. The characters are well rounded, the technology is realistic and believable. 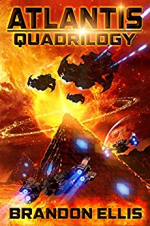 The interaction between characters is well written and builds the story along with then introduction of an unknown species, the challenges build and draw you into the story and their part of the galaxy. 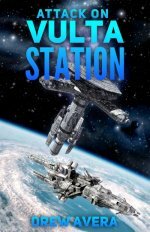 Read my review on Amazon.com This is a must read for SciFi fans, add it to your collection! Brendle Quin finds himself embroiled in conflict and not wanting to kill anymore. He is setup by a fellow shipmate and set adrift on a desolate planet. Brendle is rescued by an unusual set of individuals. They come together on the Replicade and then strive to survive and avoid death. When two sides of the war converge, surviving becomes common ground for unlikely allies. As the battle wages overhead, they will die unless they trust one another—no simple task after years of mutual hate. 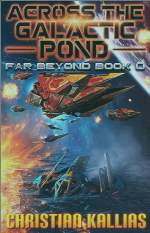 Join the crew of the Replicade, in this first installment of The Alorian Wars, as they fight a battle that will bring them to the brink of death—or beyond. After months on the run without a Greshian ship in sight, the crew of the Replicade land on an outlying planet for supplies. The fact it is a hotbed of criminal activity is alarming enough, but when the past comes back to haunt them, events take a turn for the worse. 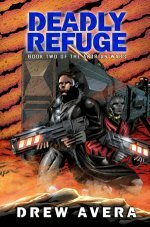 Refuge turns deadly in this second installment of the Alorian Wars series. There’s danger at every turn, so fasten your seatbelt. You’re in for a hell of a ride! 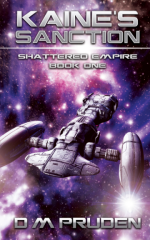 An ancient alien race, a sentient monkey, and epic battles. The challenges start from the beginning and it’s up to Clio Evans and Commander Grimshaw to face the challenges and ensure the survival of the Confederate from an invasion force of an unknown source. The characters are great and the story line is well written. It’s an adventure ride that starts off full speed and keeps going until the end. A very enjoyable adventure and worth the read, add it to your collection! Here are some of my favorite SciFi series and movies. They are in no particular order just as I decided what would be next based on what I could find to use without infringement. 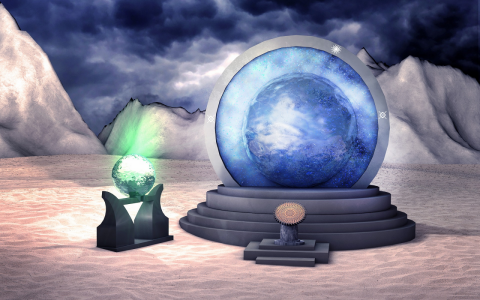 Stargate SG1 is an excellent SciFi series that is based on a series of Stargates, the first is discovered & dug up in Egypt and they eventually learn how it works and start travelling to distant planets by walking thru the Stargate. The SG1 squad is comprised of excellent actors including Richard Dean Anderson (Colonel Jack O’Neill), Michael Shanks (Dr Daniel Jackson), Amanda Tapping (Major Samantha Carter), Christopher Judge (Teal’c), Don Davis is the commander (General Hammond) and Teryl Rothery is the hot Doctor Janet Fraiser. The series had a good run for 10 seasons and spawned some great offshoots. Stargate Atlantis & Stargate Universe. The offshoots have definite different feel to them and the Atlantis series can be a little extreme for some, my wife doesn’t like it due to the Wraiths which are nasty aliens and nasty looking also. I do enjoy their story lines though and they added some excellent actors such as Ben Crowder as Lt. Colonel Cameron Mitchell, Beau Bridges as Major General Hank Landry, Claudia Black as Vala Mal Doran, Corin Nemec as Jonas Quinn and of course I have to mention Tony Amendola as Master Bra’tac and Carmen Argenziano as Jacob Carter/ Selmak. They have many more excellent actors in additional roles and repeat visitors that make for an excellent series. If you haven’t seen any of the Stargate series yet give them a try and if you are a SciFi fan you are sure to enjoy them!